How do you describe a fireplace screen that is perfect for your fireplace? With Minuteman, that's easy! The SS-32 Arched Top Twisted Rope Fireplace Screen meets every definition of the word 'perfect.' 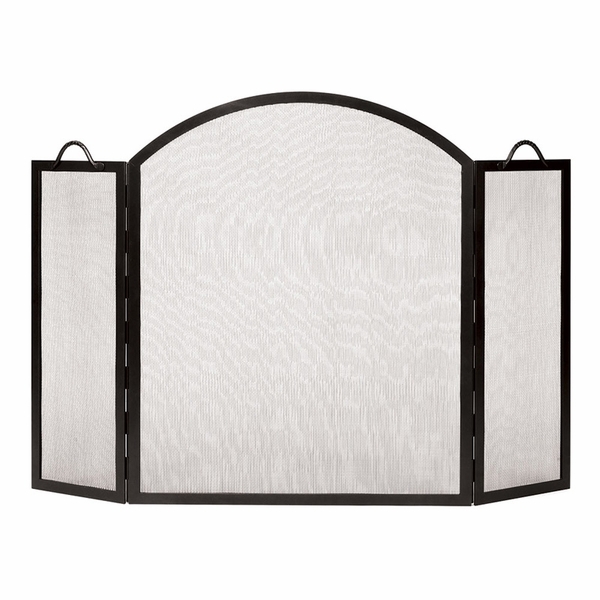 This screen consists of three pieces that conform to your fireplace and feature a twisted rope design. The ability to adjust the coverage of your fireplace is one of the remarkable qualities of this screen. Also, this item features an arched-top screen. A graphite finish coats this product -great for indoor as well as outdoor use! This screen measures 30 inches in width and 35 inches in height. What is the width of the side panels? Each side panel has a width of 11 inches.